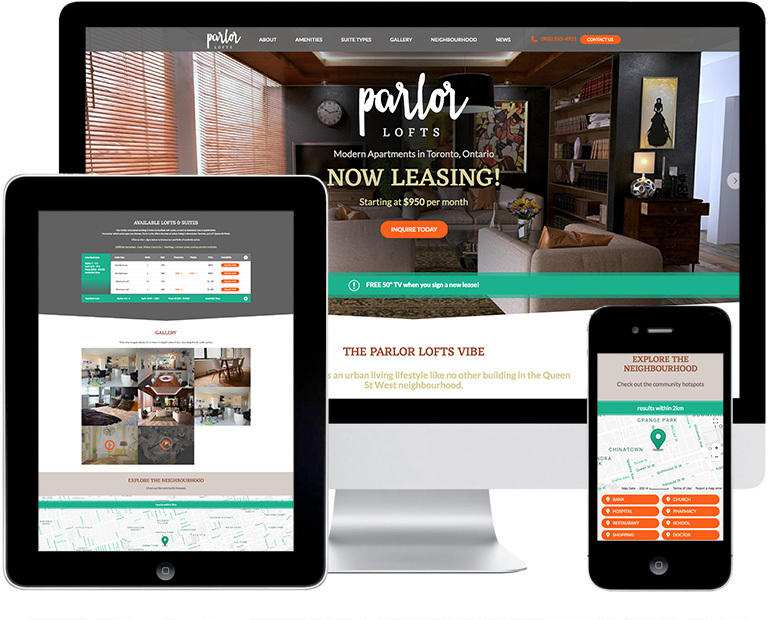 It's time you had a website that generates quality prospective tenants. We can do that for you! A well-developed website can easily generate 50% of all the leads you require to fill your vacant units. Generating your own leads saves you time, money and reduces your prospects' exposure to competition. Don't leave this important asset in the hands of a website firm that doesn't understand your business. With decades of experience in the rental housing industry, leverage our knowledge to your advantage! Our goal is to help build you an impactful online presence that results in great Search Engine Optimization for higher rankings, quality leads, and credibility for your company through our expert designs and development. We work with your team to create a completely unique custom website design from scratch. Our designers will bring your company's web vision to life. Our custom websites are for the "hands-on" client - you have specific wants and needs and are willing to put the time into working with the LWS team in creating the best possible site for your company and brand. Our custom websites are beautifully designed, content-rich and offer greater options for fun and unique functions for the user to enjoy. 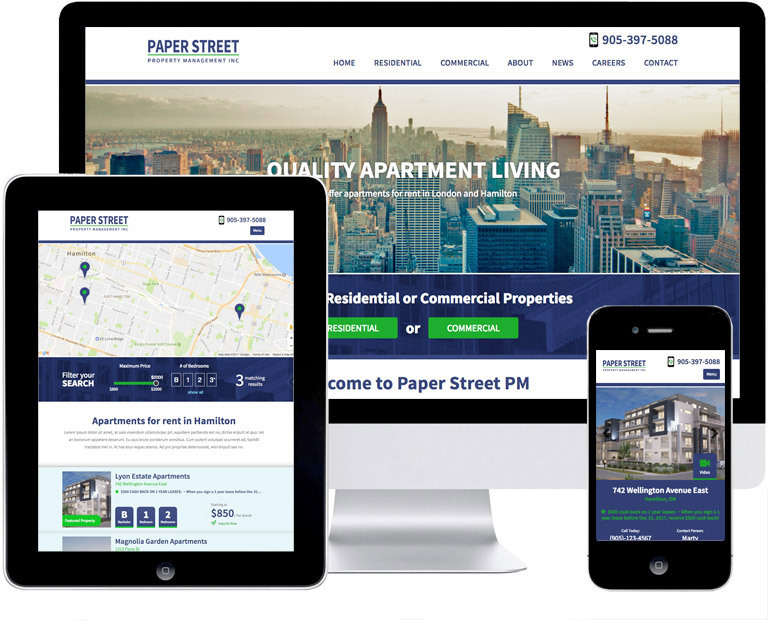 Built on the same platform and with the same level of quality as our custom websites, our Express sites offer a more affordable, simpler and faster to implement solution for landlords and property management companies. We also understand you want your site to be YOUR website and stand out from the competition. We can tailor the final design to match your corporate colour scheme and integrate your logo and stock photography to make the final design unique to your company. 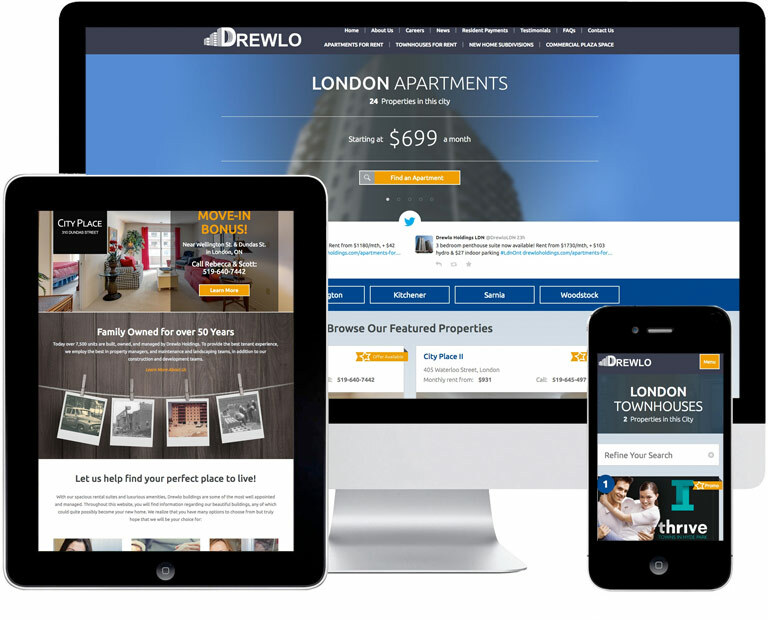 Single property websites feature many of the same exciting features of our multi-property websites, and are especially perfect for lease-up campaigns. This option allows you to show off what makes each of your communities uniquely desirable. Whether used in addition to multi-property websites or on their own, single property websites are a great way to keep the leads coming in and to reduce vacancies more quickly and efficiently.